I have been a long time lurker, since about 10 years ago. While I realised the flaws of the manga early on such as lack of characterisation and plot development, I still enjoyed watching episodes here and there and reading threads discussing the progress of the manga. Some of the things I enjoyed was the macro development and continuity of the arcs, and of course, the development of the friendship and presumed relationship between Naruto and Sakura. That being said, I have been looking for an epic manga series to read. Despite its flaws, Naruto stands out overall. I have already caught up with Hunter X Hunter, however, the long hiatuses leads me to find something else to read. Would it be a good idea to plod through Naruto, despite the horrendous ending? 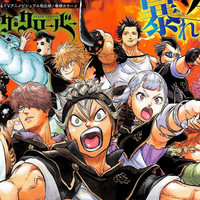 As long time fans of the manga, would you have read it, now knowing what happens in the end? I would, but there's still points where I am gonna criticize the mistakes that had led to the mess of the ending we got over all, Flake. My advice is know even if it's gonna be bad, remember the stuff you *KNOW* is good most of all. I remember the Chunnin exams, the fights in the saving Gaara arc and some parts of the War arc to be the most interesting in the anime. Once Obito became the villain with the balloon animal sob story was when my interest took a drastic turn Kagura coming in made me check out completely. I actually liked the confession scene, because I thought it would spur on further development on both Naruto and Sakura's part, but we know how that turned out. I might start on the first 10 volumes, skip a few then continue into the introduction of the Akatsuki. I'd still read it, but at the end of the day I wouldn't be emotionally invested in it, which limits how well i would like it over all in the end. Actually yeah, I would, just out of wonderment or nostalgia. I usually like to be spoiled on what happens in the end with any story, especially when I knew how it started off. It forces me to become interested and fill in the blanks about how point A turned and twisted towards point B.
I was like "woah girl pause", and I had to back track to understand. Cause the last time I set eyes on the series was when he left to train with Jiraiya, and I had long known that Naruto loved Sakura, so you could imagine what my reaction was to that lol. I immediately picked back up after that to say the least. Edited by gamma, 12 February 2018 - 07:52 AM. Forgot to say ... WELCOME i'm also a lurker here once for like 2-4 years before i decide to join. Edited by Yyubie, 12 February 2018 - 09:47 AM. Thank you for the welcome, Yyubie. 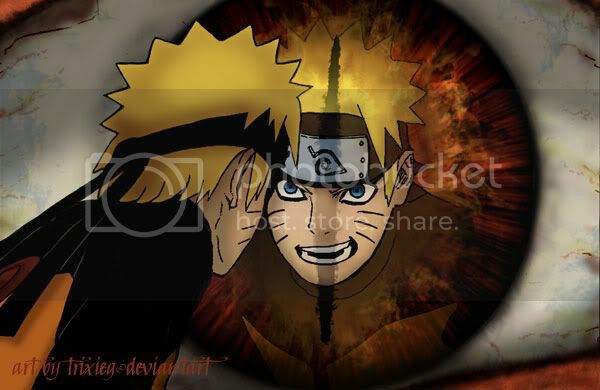 It is mangas like Naruto that make me want to rewrite the last third of the manga, even though I can't draw for nuts. There is so much potential in part due to how big the world of Naruto turned out to be, and yet, we are saddled with what could have been. I'm not sure I would want to start on Boruto, even though some of the next generation characters could be interesting. Some members on this forum say Kishi is a great writer. I will have to disagree on that. It's not the ending of the manga itself. I just question his abilities as a writer in general. I don't think he's a great writer, he's decent at best. But I do believe Kishimoto needs a very good editor for him to become a great author/writer. The perfect example was his first editor Yahagi. He wasn't biased with the story or the characters he wasn't one of those editors that worship Hinata. He was the usual editor who was following the original idea of the author. That's why part 1 was so good and the beginning of part 2. But if Kishi gets mediocre editors that care nothing more for a stupid ship instead of the story itself then the story is bound to fail. I think Kishi was trying hard to make the manga go with his ideals but failed because his editors were nothing but kittening NH rabid fans. Without a good guide to guide his ideas in the story, he becomes incompetent and mediocre. That's why he will do anything his editors tell him. He can't be a great writer without a great editor. As for the question no. I don't think I will read the manga again too many bad and painful memories. Best left forgotten. Edited by Gravenimage, 12 February 2018 - 01:44 PM. The manga is okay up to about the ending of the Pein Arc. When we hit the Kage Summit and the Fourth Shinobi war is when things really took a nose dive. Powers out of nowhere, villains coming out of nowhere, plot induced stupidity, plot armors, forced relationships and idealogical reasoning, a waste of a good villain, asspulls galore, and so much more. Yeah, we get good moments like Minato and Kushina showing up, some good NS and SK scenes, and some good moments from some of the other K11, but these are overshadowed and ignored for "OMG Hinata healed Naruto's arm" and "Hinata protected Naruto even though Neji died" or "Hinata is the coolest girl ever even though she trips on a rock" vibes you get from the later war. Neji dying kind of ruined it for alot of people. They just said "done" after that. Even more angry when they said Neji guilt trips Naruto into loving Hinata which came out of nowhere and people were pissed that their favorite character died to be to used as a means to push NH together. Welcome! Hmmmm.... good question. I'd read it again, and there are lots of scenes that are really good. It's well illustrated and has lost of twist and turns and surprises. And if you are rooting for the sweet shy girl, then you're going to be happy with the end. But if you're not...then the last couple of chapters are going to be a bumpy ride. And this is all through shipping goggle too — if you don't care about the ships, then the ending won't be as painful. There are parts of it where I go back, look at the scenes and the text and how well done it is, and am amazed at how unapologetically those themes were abandoned. Like I've always said, to me, it feels like a story without an ending. A manga that was just quickly stopped, then thrown a different direction. It might as well have been called a different name, that's how different and unrelatable the whole ending became to the beginning characters, the plot and their goals. So that's the way I think about it now. A good story, with so much potential, that fell flat. Great concepts, good character designs, and interesting plot threads ruined by poor execution, some terrible decisions, unnecessary length, and obvious pressure from the american "fans" to write an ending that will please them but no one else. Naruto is a bit like a typical American series where it flies great at the starts but literally messes up its landing overtime. I'm not sure if I can take another series ending like Bleach, which has some similarities to Naruto, and I did not like the ending for Bleach. However, while Bleach has a piss poor ending, the desecration of Naruto started much earlier. I think I will stop just before the end of the War arc. Read up to the Pain arc, stop at chapter 450 and pretend it's the final chapter. The thing is though, the more attached you are to something after spending multiple years following & investing, the more it hurts to see it diminish into a joke. I remember being initially introduced to early manga pages of Naruto back in 2002-03 by friends, and was very interested in the story and unique designs but didn't think that much of it. It wasn't until the Anime premiered in 2005 that I fell in love with it. Again, the English VA's played a great deal in my enjoyment of the series and they fit each character perfectly! That said, Part 1 was wonderfully great, Part 2 was rocky to start but peaked perfectly up to the Pain Arc. Up to Volume 48 is where I'd put a a finish line, because beyond that it only goes downhill, hard. I only wish Kishimoto could've kept on his original track and not have been misguided by battered fans, biased editors, and persuasions from the studio. Only thing left nowadays is to hope for a better doujin ending. Or maybe someone out there in 10-20 years will try to rewrite the story after the Pain Arc with tech and programs getting exceedingly easier to work with. Who knows, one can only dream!